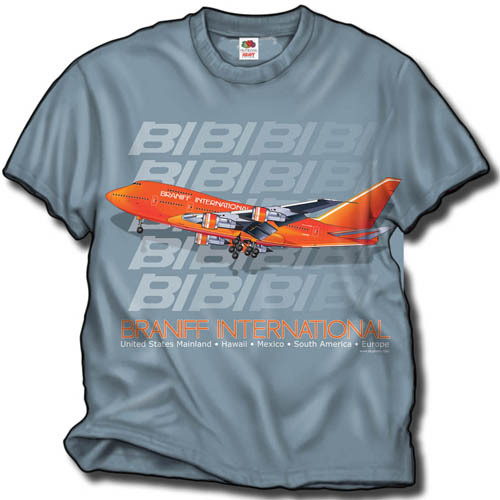 The Braniff "Big Orange" 747SP. 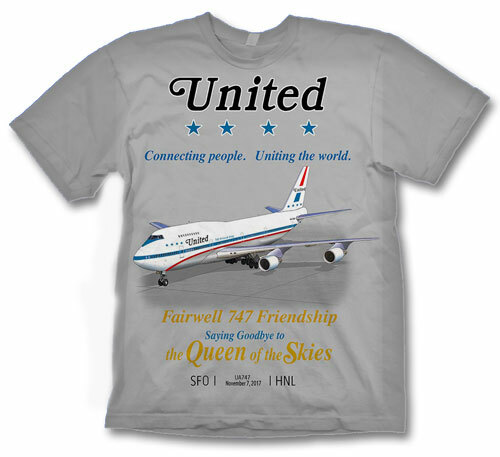 Bought and only operated for a limited time, the "Special Performance" shortened version of the 747 introduced Braniff's bid for routes to the far east. 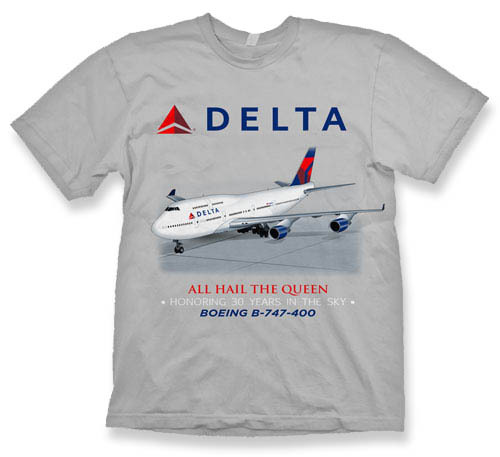 On a Stone Blue 100% heavyweight cotton shirt!